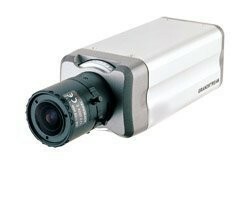 The GXV3601_LL is an advanced H.264 SIP security camera that utilizes high-quality, state of art CMOS sensors with exceptional quality under low light conditions. The GXV3601_LL offers improved surveillance protection and monitoring for large premises and/or remote places with restricted artificial light. High quality CMOS progressive sensor. Exception quality under low light conditions. 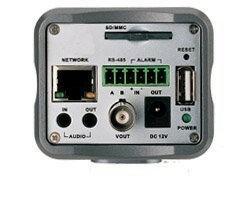 Support sensor alarm unit, relay output, USB, SD. Built in high performance streaming server. Managed with GSurf, free of charge. The GXV3601_LL is an advanced H.264 SIP security camera that utilizes high-quality, state of art CMOS sensors with exceptional quality under low light conditions. The GXV3601_LL offers improved surveillance protection and network camera monitoring for large premises and/or remote places with restricted artificial light. H.264 real time video compression with excellent clarity combined with industry leading SIP/VoIP for full duplex 2-way audio and video streaming provide unrivaled flexibility by allowing real-time video streaming onto Grandstream's other GXV endpoints. Integrated PoE, embedded analytics, and large pre and post-event recording buffer make this product an ideal solutions for monitoring low light environments. 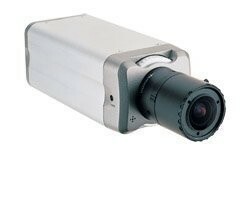 Image Sensor: Aptina 1/4" Low Light CMOS sensor, 680H x 512V digital and NTSC/PAL analog outputs, with exceptionally low noise level and low-light sensitivity. Lens Type: 1/3", 3.5-8mm, F1.4, Manual-Iris, CS (optional). Minimum Illumination (Lux): 0.05 at F1.2. Max Video Resolution: 720x480 (NTSC D1) and 720x576 (PAL D1). Max Frame Rate in Max Resolution: 30fps for NTSC D1 or VGA, 25fps for PAL D1. Video Bit Rate: 32Kbps ~ 2Mbps. Video Output: BNC, Voltage 1.0Vp_P, Resistance 75Ω. Audio Input: 3.5mm LINE-IN, built-in Microphone. Embedded Analytics: Motion detection (up to 16 target areas), video loss alarm (pending). Power over Ethernet (PoE): Yes, IEEE 802.3af Class 3. Peripheral Ports: SD 2.0; USB2.0. Temperature / Humidity: 0°C - +45°C (32°F-113°F), 10 ~ 90% RH (non-condensing). Power: Output: 12VDC/1A; Input: 100 ~ 240VAC, 50 ~ 60Hz. Regulatory Compliance: FCC Part 15, Subpart B Class B; EN 55022 Class B, EN 61000-3-2, EN 61000-3-3, EN 55024, EN 60950-1; C-tick AS/NZS CISPR 22, CISPR 24.